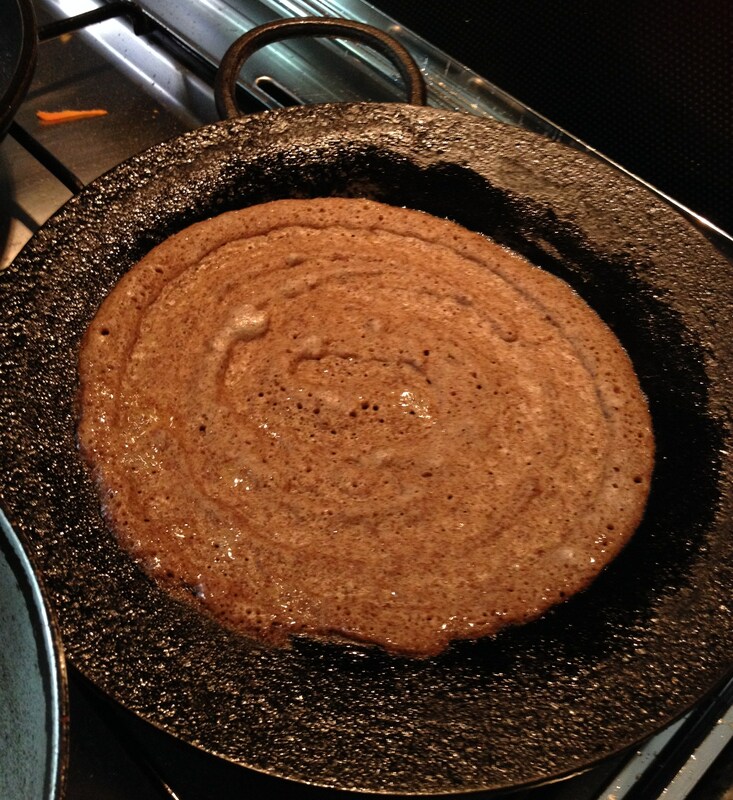 First in the series of Dosais would be Kezhvaragu Dosai. 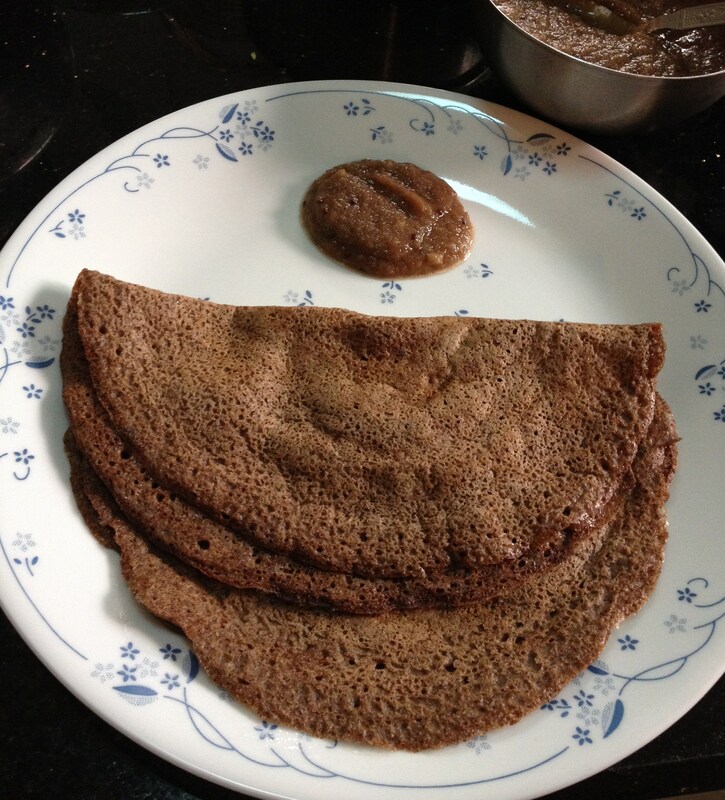 Kezhvaragu in Tamil, is Finger Millet in English and locally Ragi in Karnataka, the southern Indian state which is the largest producer of Finger Millet in India. It is also called Keppai in Tamil. I give primary importance to Kezhvaragu/Ragi as it was one of the first foods of my daughter after mother’s milk at six months of age. 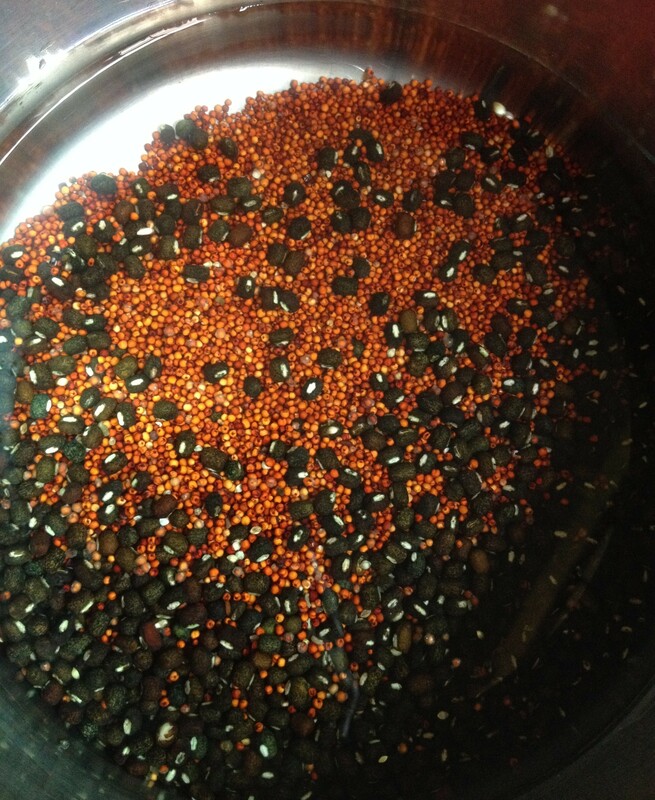 When my daughter was ready for her first worldly meal – she was fed Keppai Kanji or Finger Millet Porridge. 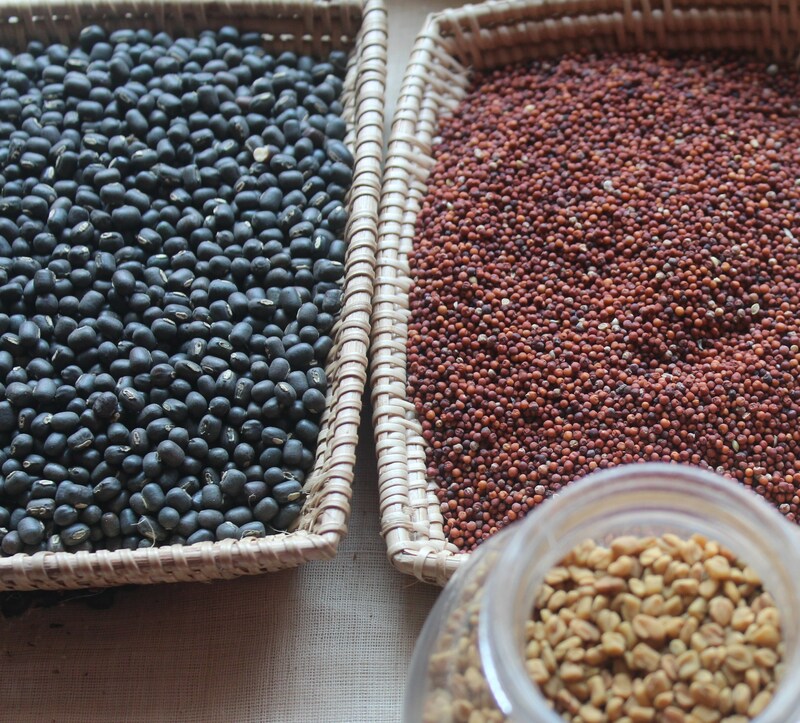 The millet is soaked and sprouted, dried and milled first. This powder is mixed with milk and sugar or jaggery and boiled to porridge consistency. The warm porridge is best next to Mother’s Milk for infants. It is rich in Amino Acids which are vital in normal functioning of body and are essential for repairing body tissues. Finger Millet contains Tryptophan, Threonine, Valine, Isoleucine and Methionoine amino acids. Isoleucine helps in muscle repair, blood formation, contributes to bone formation and improves skin health. This is a beautiful orange colored grain. When powdered and mixed with milk or water in porridges or made into batter for pancakes, the color changes to somewhat ashy brown. In packaged drinks called ‘ragi malt’ or powdered version available in the markets, it used to be in orange color, the synthetic colors added to give it the natural grain like color. But beware of those colorful health drinks. Kezhvaragu loses its color when grounded or mixed with milk or water. 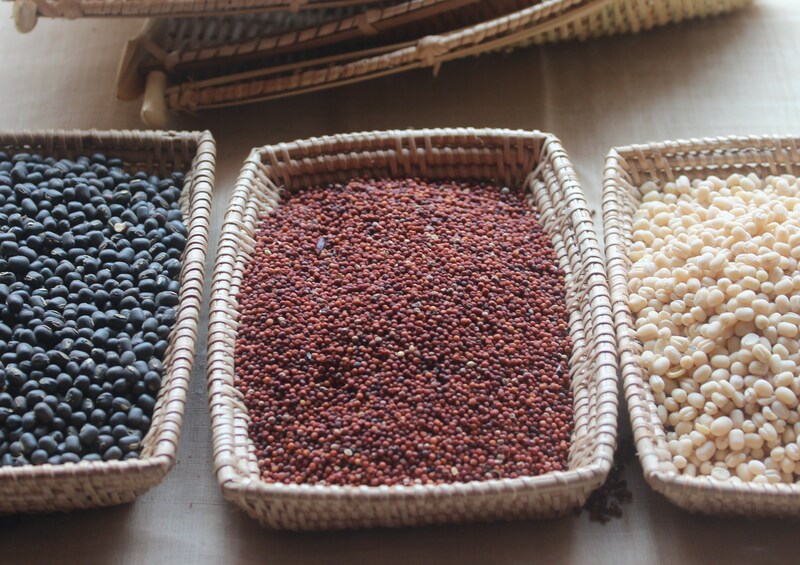 Finger Millet, is cultivated in drier parts of the world – mainly in Asia and Africa. It has a distinct taste and is widely used in Southern Indian and Ethiopian dishes. It is easy to digest and does not contain gluten; people who are sensitive to gluten can easily consume Finger Millet. 1. Kezhvaragu/Finger Millet contains an amino acid called Tryptophan whichlowers appetite and helps in keeping weight in control. Ragi gets digested at a slower rate thus keeps one away from intaking excessive calories. 2. Kezhvaragu/Finger Millet consumption helps in development of bones in growing children and in maintenance of bone health in adults. It keeps diseases such as osteoporosis at bay and could reduce risk of fracture. 3. It’s photo chemicals help in slowing digestion process and lowering absorption of starch.. This helps in controlling blood sugar level in condition of diabetes. In a study conducted in 2000, it was found that Finger Millet based diet helps diabetics as it contains higher fiber than rice and wheat. 4. Kezhvaragu/Finger Millet contains amino acids Lecithin and Methionine which help in bringing down cholesterol level eliminating excess fat from Liver. Finger Millet also contains Threonine amino acid which hinders fat formation in the liver, which brings cholesterol level of the body down. 5. It is a very good source of natural Iron. It also helps in relaxing body naturally. It is beneficial in conditions of anxiety, depression and insomnia. It is also useful for migraines. 6. It is rich in Amino Acids which are vital in normal functioning of body and are essential for repairing body tissues. Finger Millet contains Tryptophan, Threonine, Valine, Isoleucine and Methionoine amino acids. Isoleucine helps in muscle repair, blood formation, contributes to bone formation and improves skin health. 7. 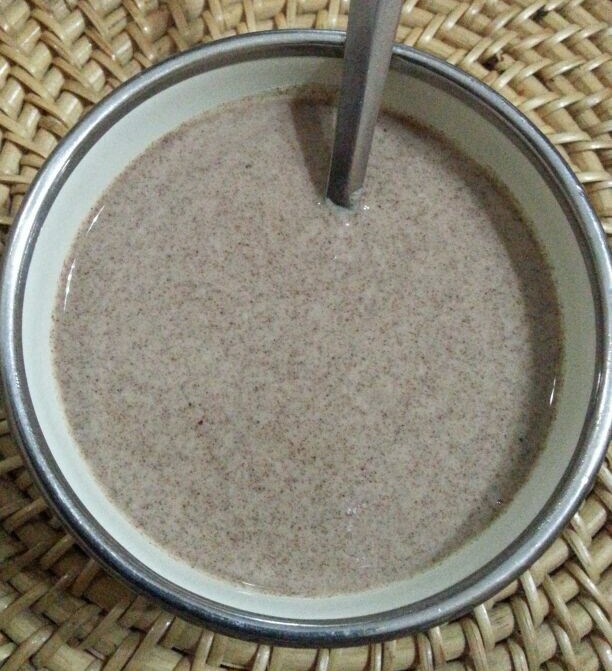 If consumed regularly, Ragi could help in keeping malnutrition, degenerative diseases and premature aging at bay. It is an extremely nutritious cereal and is very beneficial for maintaining a good health. However, its high intake could increase quantity oxalic acid in the body. Therefore, it is not advised to patients having kidney stones (Urinary Calculi). 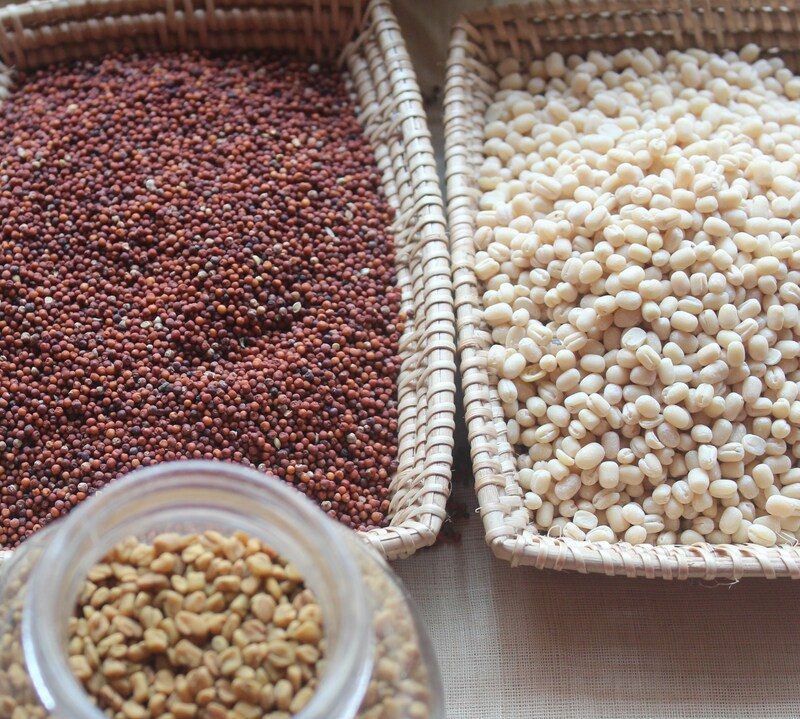 Kezhvaragu/Finger Millet could be enjoyed in different forms and preparations. Keppai Idli/Rice Cakes, Keppai Dosai/Pancakes, Keppai Kanji/Porridge, Keppai Kali/Halwa, Keppai Upma, Ragi Cakes, Ragi Biscuits and many more. After the dosais, more/buttermilk which is the diluted version of yoghurt with salt is served as coolant. The black gram generally used is dehusked whole black gram. 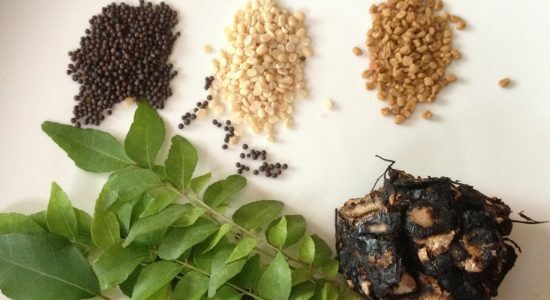 I prefer to use black gram with skin which adds to the nutrient value of the dosai. This is the plain dosai. If one prefers, grinding red chillies together or mixing coconut just before making Dosais can be a variation. Do not mix coconut before fermentation as coconut would be spoilt and make the batter spoilt too. 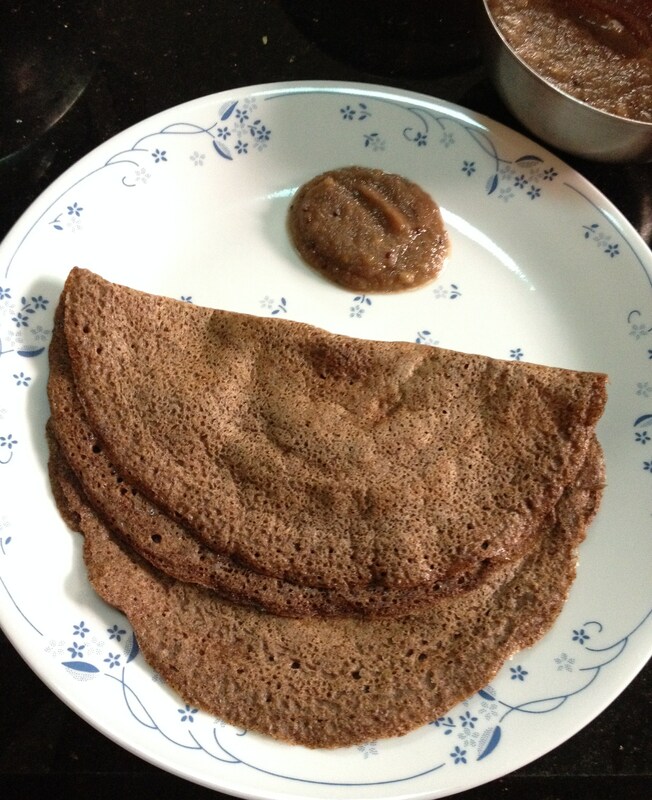 Buttermilk is had after the Dosai as kezhvargi/ragi is supposed to be a heat producing grain and the onion in chutney and more/buttermilk act as coolants. Can make the Dosais thick or crispy thin as preferred. Since Kezvaragu is supposed to be a heat producing agent for the body, it is always had with shallots/onion thuvayal/chutney. After a breakfast with onion chutney and dosai, buttermilk or diluted yoghurt is always served as a coolant. It is preferably or rather specifically adviced to have it only as breakfast and not for dinner as it needs more time to digest. 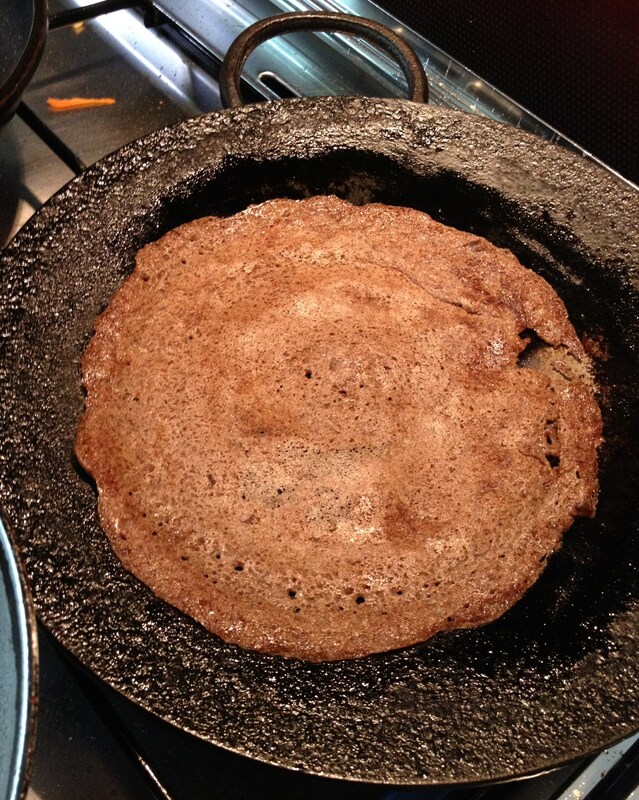 Previous Post Power Packed Pancakes – Whole Grain Dosais! That’s great Jenny. Getting full marks from our children is one of the the main goals of cooking.